The EB-6 Solid Body Electric Banjitar's unique design features a contoured mahogany solid body that feels very comfortable against the body, thanks to the belly-cut into the back. The finish is deep mahogany satin to let the look and feel of the wood through. Recessed into the top of the body is the custom-made Remo 8-inch pre-tuned head that needs no tensioning hardware which greatly enhances the tuning stability of this banjo. A stacked humbucking pickup sits just next to the fretboard end. This amazingly clean sounding pickup faithfully captures the plinky tone and fast decay of this true-sounding instrument. Playing this banjitar is a stellar experience. The maple neck with rosewood fretboard feels perfectly guitar, with its 25.5" scale length and full nut width. 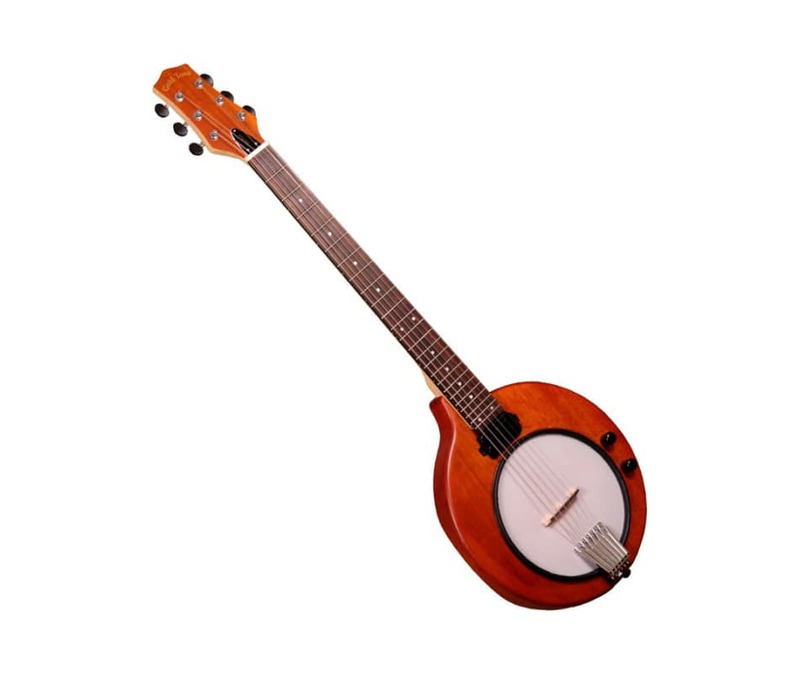 This allows immediate acclamation to this instrument, and instant addition of banjo parts to your music. The EB-6 has sealed guitar-style tuners and the heavy-duty "Terminator" tailpiece will accept loop-end or ball-end strings.